George and Annie were married in Hastings, June 8, 1948. 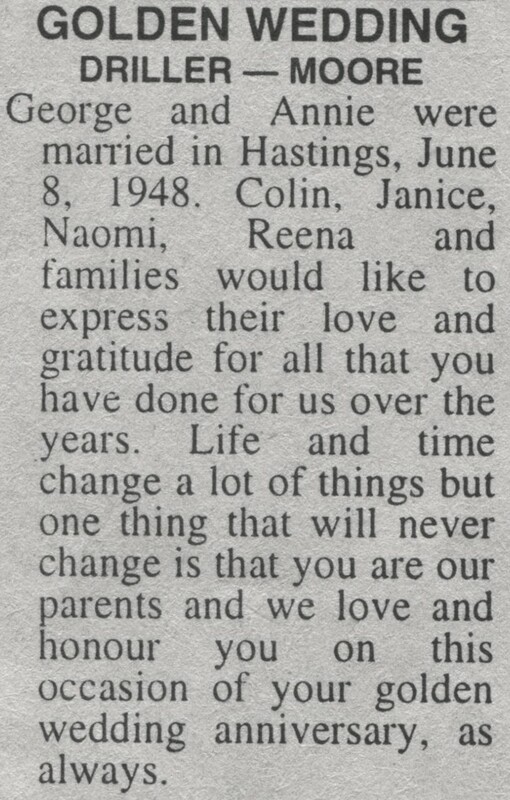 Colin, Janice, Naomi, Reena and families would like to express their love and gratitude for all that you have done for us over the years. Life and time change a lot of things but one thing that will never change is that you are our parents and we love and honour you on this occasion of your golden wedding anniversary, as always.